Social Media by know is a very much over-used term, specifically by those who don’t seem to use it much (just like Web 2.0 – crinch!). Almost every online agency now touts social media as one of their specialties. But it seems that there is very little actual planning and measuring going on; no accountability and no ways to measure ROIs is offered. Decision makers that ultimately give the go-ahead to invest in social media marketing are (or: should be!) concerned with the bottom line. Just like any other investment, it is essential that a social media strategy includes mechanisms to assess actual business value / ROI. This can be in form of a value placed on increased product/service awareness, actual sales (leads) and/or cost savings due to a reduction in support staff due to social media tools. ROI can only be obtained if there is a stated goal for the social media campaign. Regardless of how value is determined, social media should be validated just like any other marketing channel. It is encouraging is that more companies are looking more seriously at the challenges and opportunities of social media participation. Others understand that social media is not a destination, but rather an indication of consumer behaviors aided by technology. Successful social media marketing is not about the tools, it is about the people involved; remember social media is about the C’s: Conversation, Connections, Community, Consumer, Control, Creative, Collaboration and Content. 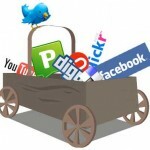 Participate in Poll: Are you measuring Social Media ROI? Email me if you have questions on how to measure Social Media ROI. 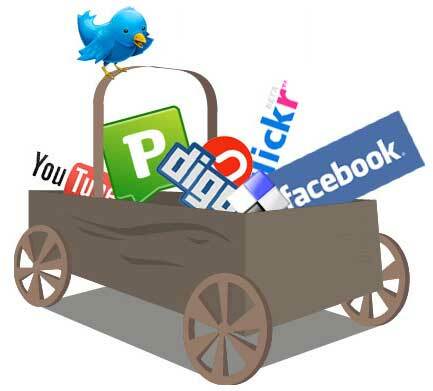 Social media are media for social interaction, using highly accessible and scalable publishing techniques. Social media uses web-based technologies to turn communication into interactive dialogues. Andreas Kaplan and Michael Haenlein also define social media as “a group of Internet-based applications that build on the ideological and technological foundations of Web 2.0, which allows the creation and exchange of user-generated content.” Businesses also refer to social media as consumer-generated media (CGM). A common thread running through all definitions of social media is a blending of technology and social interaction for the co-creation of value. 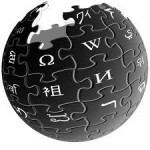 Social media can take many different forms, including Internet forums, weblogs, social blogs, microblogging, wikis, podcasts, photographs or pictures, video, rating and social bookmarking. By applying a set of theories in the field of media research (social presence, media richness) and social processes (self-presentation, self-disclosure) Kaplan and Haenlein created a classification scheme for different social media types in their Business Horizons article published in 2010. According to Kaplan and Haenlein there are six different types of social media: collaborative projects, blogs and microblogs, content communities, social networking sites, virtual game worlds, and virtual communities. Technologies include: blogs, picture-sharing, vlogs, wall-postings, email, instant messaging, music-sharing, crowdsourcing, and voice over IP, to name a few. Many of these social media services can be integrated via social network aggregation platforms. Today VirusBlokAda reported the first detection of malware that attacks SCADA systems running on Windows operating systems. The malware is called Stuxnet and uses four zero-day attacks to install a rootkit which in turn logs in to the SCADA’s database and steals design and control files. The malware is also capable of changing the control system and hiding those changes. According to Computerworld the malware was found on 14 systems, the majority of which were located in Iran. SCADA (supervisory control and data acquisition) designs generally refer to industrial control systems (ICS): computer systems that monitor and control industrial, infrastructure, or facility-based processes, including industrial and infrastructure processes. SCADA designs are centralized systems which monitor and control entire sites, or complexes of systems spread out over large areas (anything from an industrial plant to states). A lot of control actions are performed programmatic by RTUs or by PLCs. Host control functions are usually restricted to basic overriding or supervisory level intervention (i.e. a PLC may control the flow of cooling water through part of an industrial process, but the SCADA design may allow operators to change the set points for the flow, and enable alarm conditions, such as loss of flow and high temperature, to be displayed and recorded. The feedback control loop passes through the RTU or PLC, while the SCADA design monitors the overall performance of the loop. Networked SCADA systems (also referred to as 3rd generation systems are accessible from the Internet, and therefore are potentially vulnerable to remote cyber-attacks. On the other hand, the usage of standard protocols and security techniques means that standard security improvements are applicable to the SCADA systems, assuming they receive timely maintenance and update. Many vendors of SCADA and control products have begun to address the risks posed by unauthorized access by developing lines of specialized industrial firewall and VPN solutions for TCP/IP-based SCADA networks as well as external SCADA monitoring and recording equipment. The International Society of Automation (ISA) started formalizing SCADA security requirements in 2007 with a working group, WG4. WG4 “deals specifically with unique technical requirements, measurements, and other features required to evaluate and assure security resilience and performance of industrial automation and control systems devices”. Read more on Wikipedia and see this NCS document. Enterprise collaboration done right by San Diego’s MindTouch. 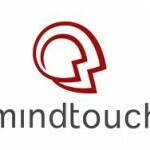 MindTouch assembles your organization’s genius into strategic content. Using MindTouch for your strategic content you can increase customer acquisition, decrease customer retention costs and enhance your product and services development. 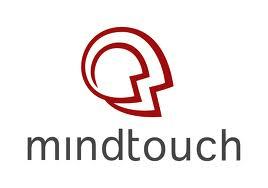 MindTouch is also an great general-purpose platform for enterprise collaboration and rapidly developing social business applications. RockMelt a company backed by some of the old Netscape guys announced that they are coming out with a social web browser. Looks kinda interesting and there’s probably some money to be made. Though I would be really surprised if it garnered more market share than Google’s Chrome (8%). So, I ma not sure where there’s an exit for the venture.